Anyone that knows me well knows that Korean fried chicken (Kfc) is one of my all-time favorite foods. There's many different types of Korean fried chicken: the Bonchon/Kyochon style (some of the biggest chains for Kfc in both the U.S and Korea), which have an eggshell-thin crust with a distinctive crunch; yangnyum chicken, which is tossed in a spicy, red-hot sauce; dak gang jeong, which involves a sweet soy sauce based sauce-- just to name a few. One of my favorite versions is padak, which is topped with a heaping mound of thinly sliced spring onion and a healthy drizzling of a sweet soy-mustard sauce. 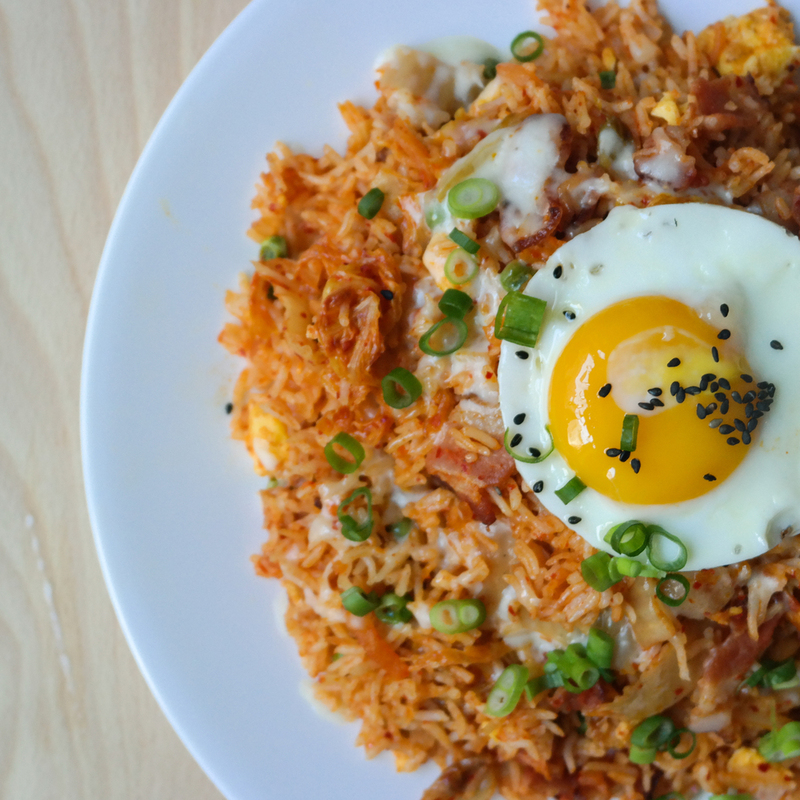 I decided to try making it at home, because it's not a dish that's easy to find in the U.S (at least where I live)-- however, it's a dish that's rather popular in Korea, and you can find it in most chicken places. One distinct characteristic of Korean fried chicken is that it is usually double fried to make it especially crispy. This does require a little bit more effort and time, but I guarantee it's worth it! When I come home after a long day of work or classes, I am usually exhausted. As much as I love cooking, there are days when I just want to eat something quick that is satisfying yet requires minimum effort and energy expenditure. This dish is perfect for a quick weekday dinner during those days when you feel really, really lazy... I would say that this takes 10 minutes to make, from start to finish! The most work that this recipe requires may be mincing the garlic or chopping the green onions. (And isn't there always something cathartic about smashing garlic cloves with your knife?) 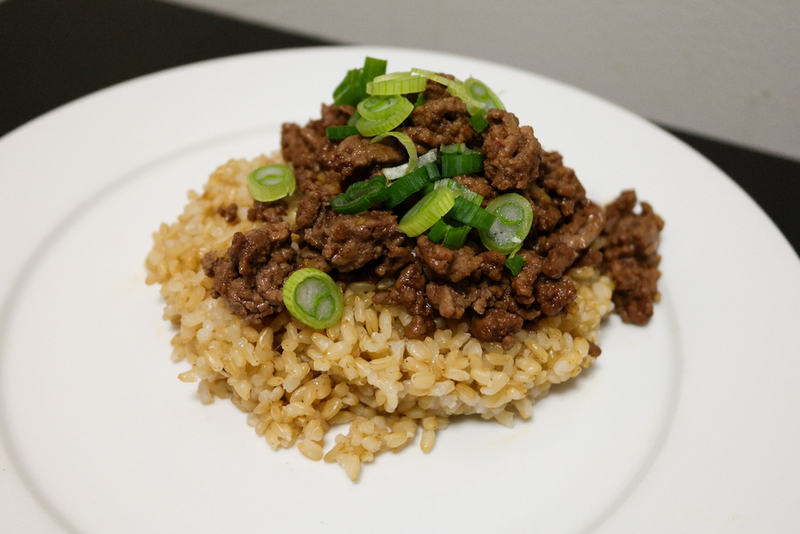 The base sauce for this dish is a pretty standard Korean bulgogi marinade, except that since you're using ground beef, it requires no marination at all. I hope you enjoy it!